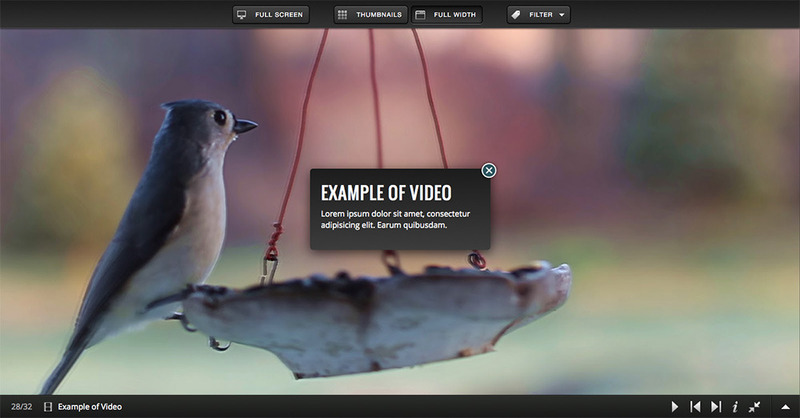 Nova Gallery is a HTML5 multimedia gallery enabling you to showcase your photos/audio/video in a beautiful and sleek interface. You have the option of presenting your items in two different modes, which are a Thumbnail Grid and Full-width view, and you also have the option of switching between the two modes. You can have multiple sets/albums of items and can filter the gallery items based on file type or based on custom categories. 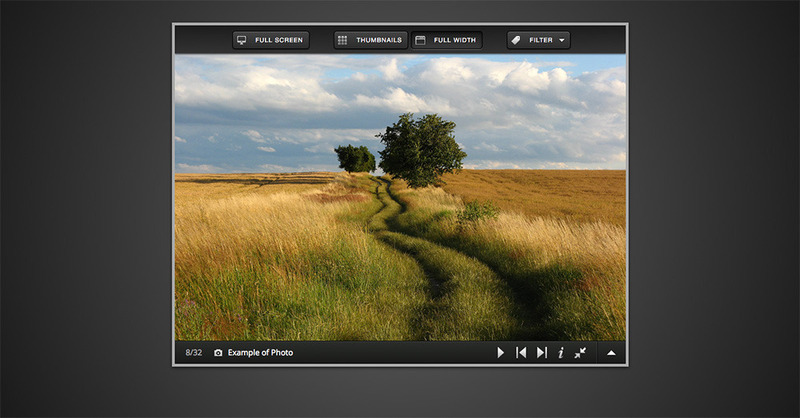 The gallery allows you to showcase your Youtube/Vimeo videos and Flickr/Picasa photos from groups/sets/albums/collections. The gallery features a fluid responsive design and can fit in any screen size ranging from mobile phones to desktop browsers. The gallery also features touch-screen support and uses hardware accelerated CSS based animations wherever possible which results in smooth animations, that is especially noticeable in mobile devices. All gallery data is passed in a simple XML file. Choose to make the item titles in Thumbnail Grid mode always visible. Choose the animated effect for transition between items in Full-width mode. Available effects are fade, slide and flip. Choose to continue the slideshow in Fullwidth mode even when the page loses focus. Option to set the path for the gallery configuration XML file. Option to detect mobile devices and serve them a separate XML file. • Fixed an issue where closing the overlay for audio/video made the gallery exit from fullscreen state. • Fixed a bug with image resizing in Fullwidth mode. 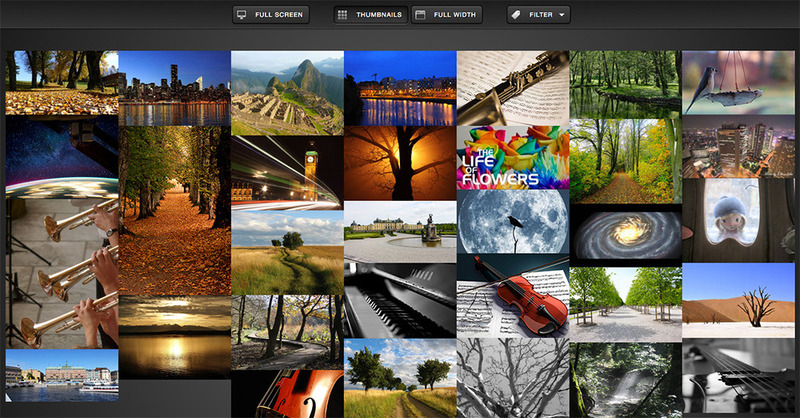 • Added the option of choosing the number of albums to show in a Flickr/Picasa collection. • As per Flickr's new API requirements the gallery now uses "https" in all API request url's. • Fixed item display issues, including the issue of small images, inside the modal box in thumbnails grid mode for phone sized screens. • Fixed video player's fullscreen button issue in iPad. •  A few small styling tweaks to the gallery. • Fixed a IE bug where the thumbnail links were not clickable. • Fixed a small bug where the overlay button appeared over thumbnails with link enabled. • Fixed the max-height setting and the positioning of the Fullwidth mode caption overlay. • Added the option of making the item titles in Thumbnail Grid mode always visible. 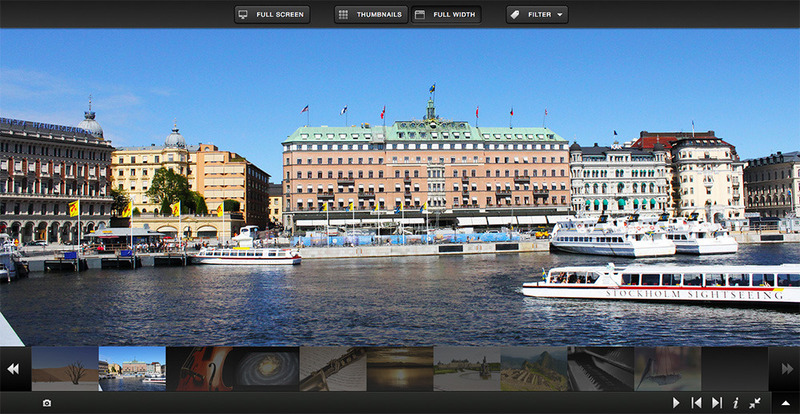 • Added the option of making the Fullwidth mode slideshow continue even when the page loses focus. • Fixed a bug in the thumbnail grid layout when margins were set on the items. • Fixed the resizing of images in the overlay when the browser was in landscape mode. • Fixed a bug in iOS where after scrolling the clicks/taps on the thumbnails became unresponsive. • Improved the closing/opening of the gallery menu in touch-screen devices. • Fixed a bug where the inclusion of images in the item captions interfered with the thumbnail grid layout. • Modified the code to account for escaping of characters in the cached xml file (when pulling images from Flickr/Picasa) if magic quotes in the server were turned on. • Fixed problem with positioning of the gallery overlay/lightbox when there were other content in the page along with the gallery. • The filter dropdown menu opens much quicker now in touch-screen devices and also closes when tapping elsewhere on the screen. • Updated the jquery masonry plugin so that it is compatible with jquery v1.9+. 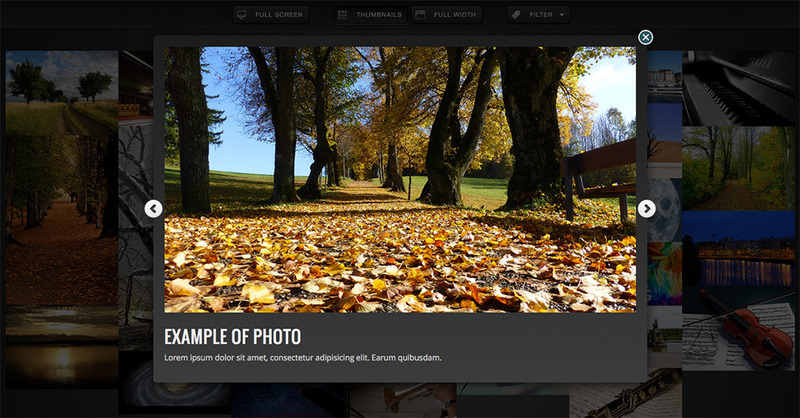 The gallery now is fully compatible with jquery 1.9+ including jquery 2.0. • Other small bug fixes.